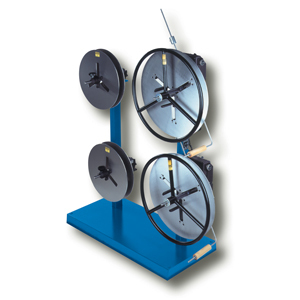 Save floor space and maximize production with a Rapid-Air Reel/Straightener Combo. Max. 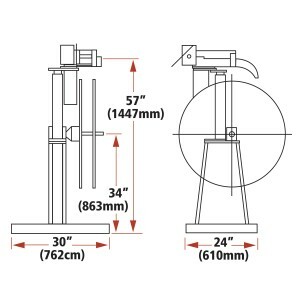 capacities 150-500 lbs. (68-227kg). 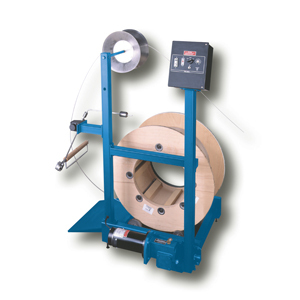 Low height non-powered reel sand powered straightener. Right or left payout. 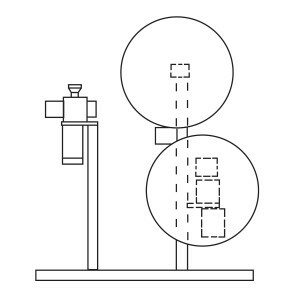 Save valuable production time with dual swivel reels. Powered and non-powered. 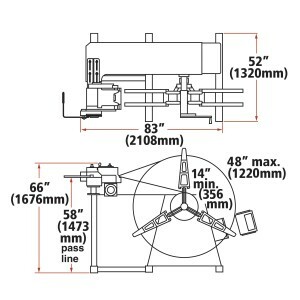 Rapid-Air 1000 Series dual swivel reels offer all the features of the 100 Series dual swivel reels in a larger, heavy-duty unit designed to save valuable production time when handling heavy coils. 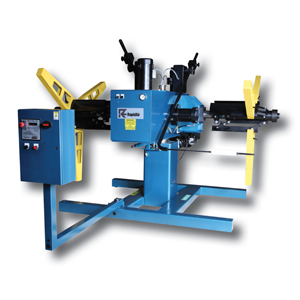 Benefit from quick changeover and minimize downtime between loading coils or stock. 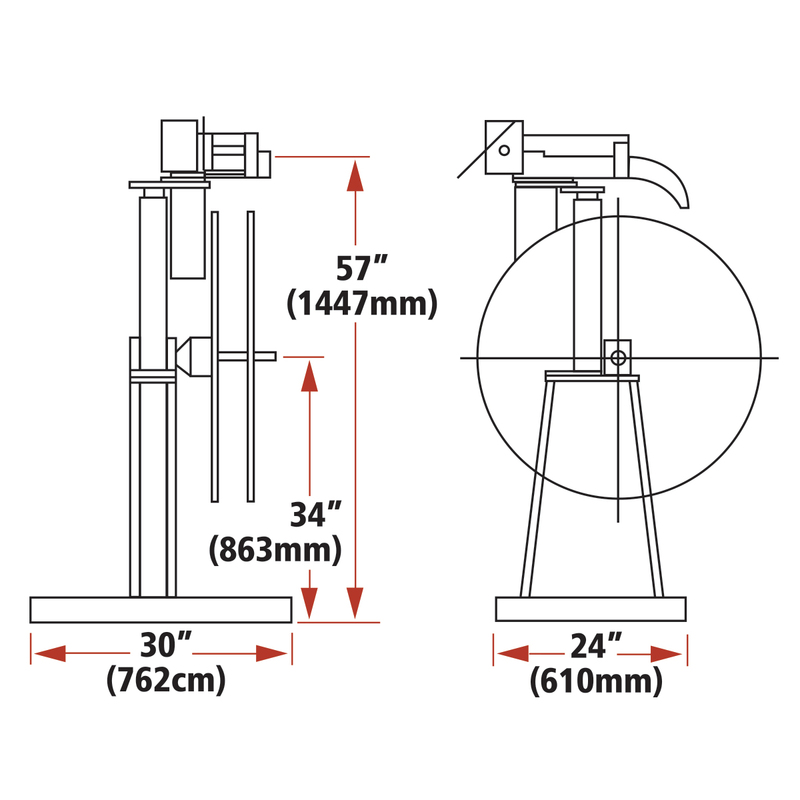 The swivel reel is designed so the operator can load or unload the inactive reel head while the job is still running. 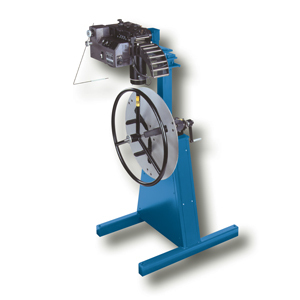 For heavy-duty coil handling. Variable speed powered and non-powered. Max. capacities 1,500-6,000 lbs. (682-2727kg). 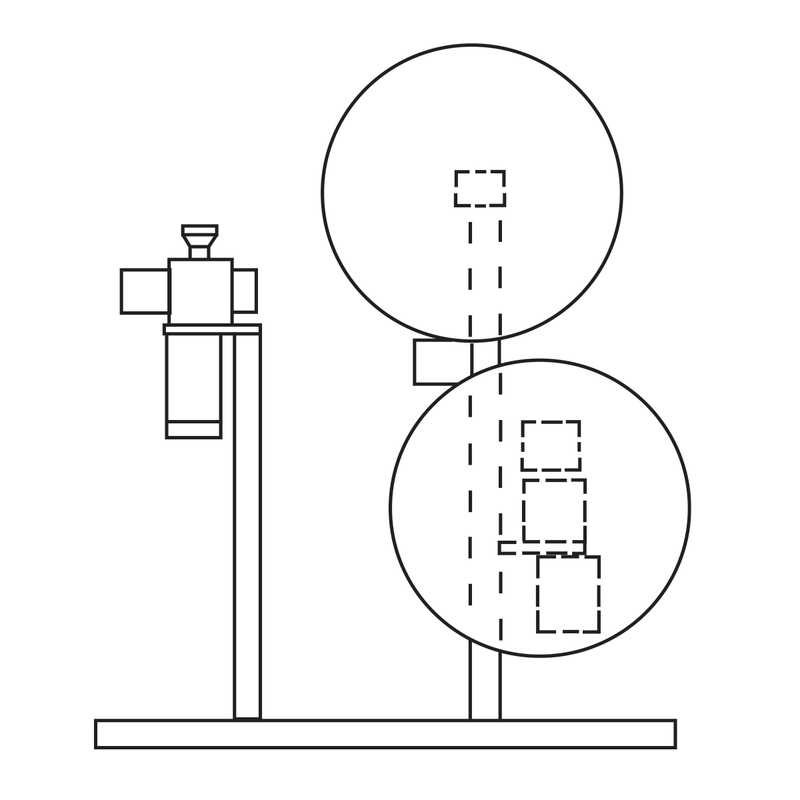 Allows payout from either press side or backside of reel. 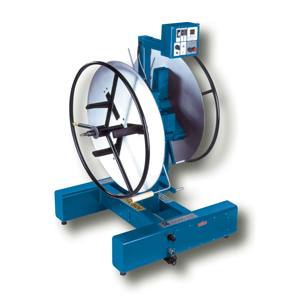 Multi-head reel combinations provide payout and rewinding capabilities and interleaf protection. 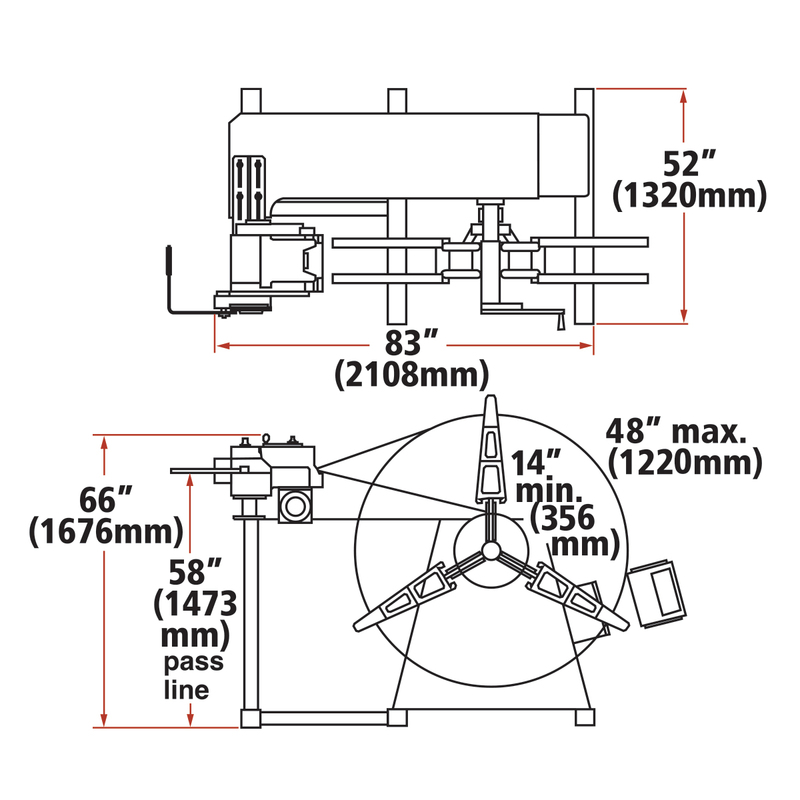 Any number of multi-head setups can be put in place to accommodate your manufacturing needs. One reel setup can be in full operation while the other setup is standing by, ready to make a smooth and quick changeover. Less downtime means added production efficiently. 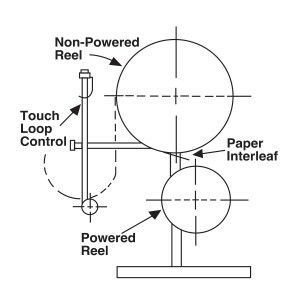 Inserting interleaf material to protect delicate, plated or intricately shaped materials that could snag or tangle during manufacturing is a simple procedure. The use of multi-head reel combinations allows you to put tension on the stock for a tighter, more compact wrap. Consult factory for special arrangements. 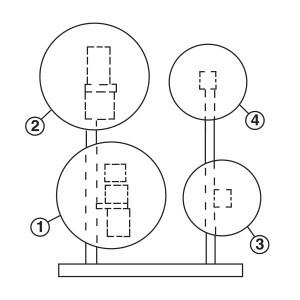 A three head modular system unit for left-hand active loop. *PIV is on left post, R23A on lower right-hand post, and *R23NF on upper right-hand post. 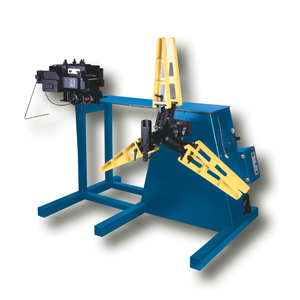 Optional equipment for this system could include: Model LC-DSE Dual Switch to select upper or lower head, non-powered straightener, loop control system, optional post heights. 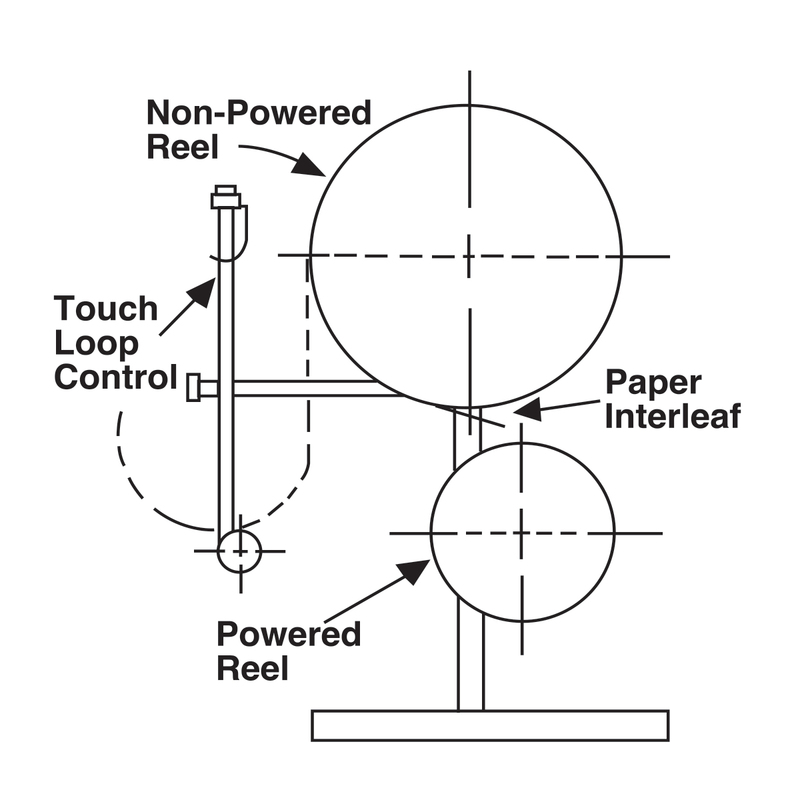 Typical dual reel setup when paper interleaf is required. 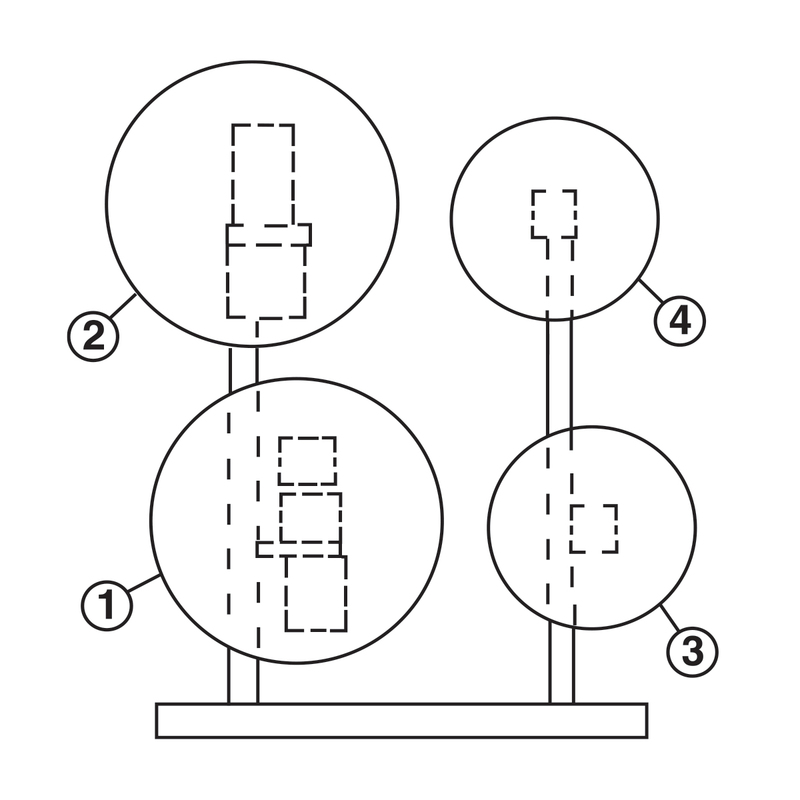 Both left-hand and right-hand modular system units are assembled in the sequence illustrated.